Motorcycle accident attorneys provide a number of valuable services after a crash, including investigating the scene of the accident to gather evidence and determine liability. One of the tools used in this process is securing expert witnesses to provide testimony to bolster a client’s claim. 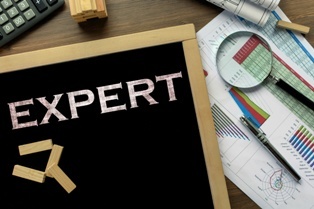 Expert witnesses are professionals who have specialized knowledge on a certain subject, allowing them to act as an authority when discussing the details of your accident or injury. If your case could benefit from expert testimony, your attorney should discuss the pros and cons of hiring an expert with you and be able to select the one that would best serve your case. Accident reconstructionists. If a car struck your motorcycle or the accident involved multiple vehicles, an accident reconstructionist may be called in to evaluate the scene. These experts can examine tire tracks, weather conditions, vehicle positions, and other evidence to help juries and judges understand relevant factors in the accident and who was at fault. Medical professionals. A doctor who has a wealth of experience in your type of injury can give a medical opinion on your injury prognosis, including your future ability to work, lifting and mobility restrictions, mental and emotional health, ongoing treatment needs, and quality of life. Mechanics. If your accident was caused by improper maintenance or a defective or faulty piece of equipment, motorcycle mechanics can explain the consequences of the defect to hold the negligent party responsible. Vocational experts. Motorcycle accident injuries are often so severe that they prevent a victim from returning to his or her former employment. A vocational expert can explain how the accident will impact a victim’s ability to work now and in the future. Economists. Economic advisors can calculate diminished earnings, lost opportunities, rising property costs, and interest rates to accurately estimate the total costs of damages related to the accident. Injury attorneys who work on a contingency fee basis will usually shoulder the costs of expert witnesses and other fees of filing a lawsuit until the case is won. If you have been injured in a motorcycle accident in Illinois or Missouri, contact The Tapella & Eberspacher Law Firm via our online form to learn more about your legal rights or download your FREE copy of one of our books, When the Rules of the Road Get Broken: A Guide to Illinois Car Wreck Cases or The Missouri Car Crash Guide: Don't Wreck Your Car Crash Case!